Have you taken steps to protect your assets for your beneficiaries? At Howard J. Wiener & Associates, P.L., we are dedicated to helping our clients protect their estates for the benefit of their own future as well as for the security of the people they love. Life is full of unexpected events, and planning ahead for your family can be both a wise move as well as an act of love. Our estate planning law firm is prepared to help you take the steps necessary to preserve your hard-earned assets and to ensure that your wishes can be carried out no matter what. When you sit down to meet with Howard during your initial consultation, he will discuss your situation and your goals in order to thoroughly appreciate your particular needs. Howard asks key leading questions in order to ascertain what is needed to give you the best representation. As a board-certified tax specialist, Attorney Howard J. Wiener can help you plan for the minimization or even elimination of future federal income, estate, generation skipping transfer and gift taxes . Together, we can work toward a comprehensive plan that includes protection of your home, savings, business, employee benefits, and your other assets. Essentially, probate is the legal transfer of one's property to their heirs after death through a state court proceeding. The Probate court is responsible for overseeing the distribution of a deceased individual's assets. The process can be expensive and lengthy, but with some simple forethought and planning, you can protect your loved ones from going through this process. Talk to our Florida probate lawyer about estate planning and the options available to achieve your objectives. 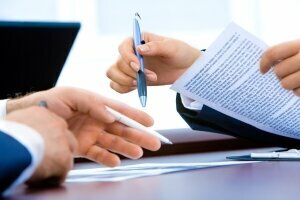 If you are in the middle of probate litigation, we can help protect your rights and interests. Many people find that a trust is the best way to administer their estates. This method of estate planning is not just for the extremely wealthy. You can develop a trust to spare your family from the costs and delays of the probate process. In addition, there are several different types of trusts including revocable, irrevocable and hybrid trusts. Our estate planning lawyer can explain the differences between these options and help you determine whether or not establishing a trust is in the best interest of you and your family members. Writing a will allows you to specify who you want to leave your estate to when you die. You can also use a will to protect your minor or incapacitated children by naming one or more guardians in the event of your death. Some assets can be designed to be given to a certain beneficiary automatically upon your death. (e.g. Transfers on death accounts). Talk to our estate planning attorney to help you avoid misinterpretation of your last wishes. Protect Your Future & Your Loved Ones! By working with an experienced estate planning attorney like Howard Wiener, you can have peace of mind knowing that your loved ones will be cared for even in a worst case scenario. It is recommended that you review your estate plan regularly, at least once every five years. If it has been a while since you have looked at your will or trust(s), or have sat down with an attorney about your estate, make an appointment with us today. Call Howard J. Wiener & Associates, P.L. today to prepare "being prepared."